A compass for every season featuring a purple sapphire. The design for this compass keyring was inspired by the idea that life’s a journey. While the nature of our path may change with every season, the sapphire at the centre is forever twinkling. As you can see in the photos, it started out as a pendant but it was destined to be a keyring style compass. With a strong carabiner style clasp, clip this compass onto your jeans or bag, and be ready for whatever adventure lies ahead. Each quadrant of the design has its own style, its own character, and is a reflection of the way we see things in a different light as we navigate from one season to the next. 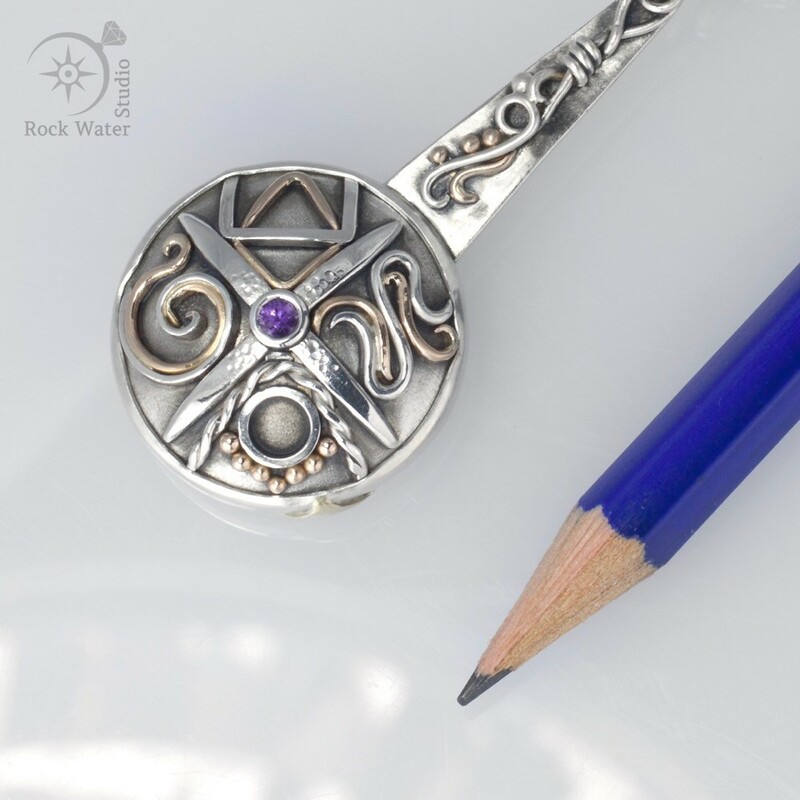 Handmade in silver and 18k gold with a purple sapphire. Sapphire is the September birthstone. It’s also associated with the 5th, 23rd and 45th wedding anniversary. It’s been said that this mineral is believed to help dispel unwanted thoughts and bring lightness, joy and peace of mind to the wearer.